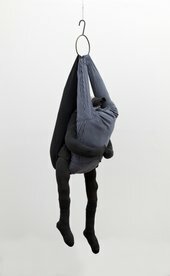 Louise Bourgeois, Couple, 1996. ARTIST ROOMS. Tate and National Galleries of Scotland. Lent by the Artist Rooms Foundation 2013. ©The Easton Foundation/VAGA at ARS, NY and DACS London 2018.